Let’s have a Sparkling Mocktail! It’s the holiday season, so what to do when you can’t drink a REAL drink! Fake it till you make is what I’m doing, and I have the pleasure to be doing it with Welch’s Non-Alcoholic Sparkling! It is just delicious, either straight, or mixed with other ingredients to make the perfect mocktail. It also makes my brain happy, like I’m part of the party with my fizzy drink at hand, and just in time with the holidays! I will definitely not feel left out with my 9 month pregnant belly t’is season. 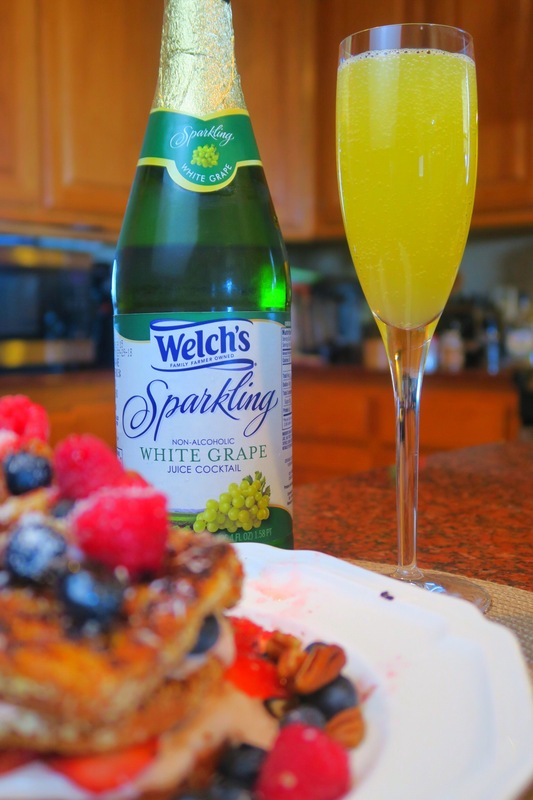 I never give up my morning mimosa on weekends, so in goes my OJ with the Welch’s Non-Alcoholic White Grape Sparkling with my famous weekend brunches, because ya gotta live a little! Especially on the holiday season, right? No, it is not alcoholic nor does it taste like champagne, but it is sparkling and fizzy which definitely give the mimosa feel I’m craving! 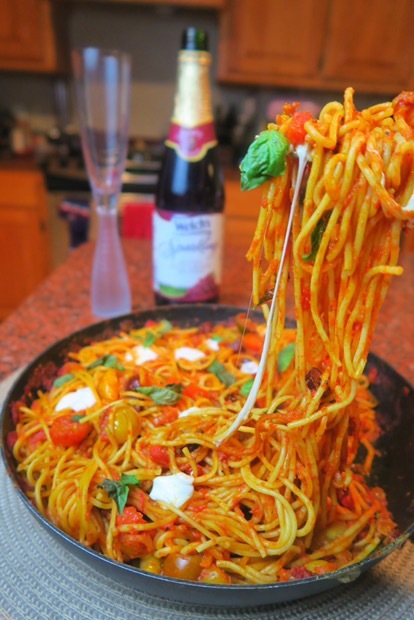 perfect pairing with my colorful pasta arabbiatta! 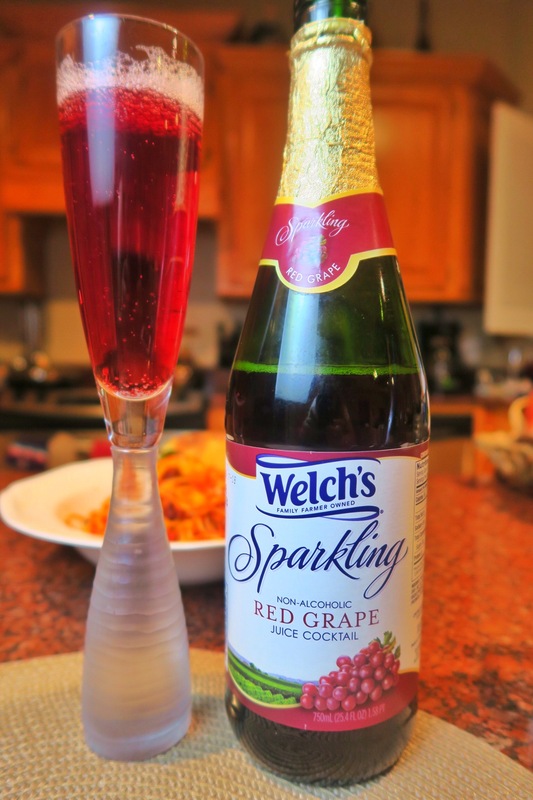 Another option is the Welch’s Non-Alcoholic Red Grape Sparkling which I like to have alongside Winecoach at dinner, or really any time of the day! It’s so quenching and really yummy! I add it to a wine glass for dinner or even a fluted glass, again, because it helps my brain and adds glamour to my evening! I enjoy over ice or iced, and this one I like straight, as is! So tasty and really feels like a wonderful addition to my lunch, dinner or simply to enjoy. I was so excited to find out about this new addition to the Welch’s family! I’ve been enjoying their juices and jellies for years, so it came as a nice surprise! I hope you pick some up to enjoy this holiday season! 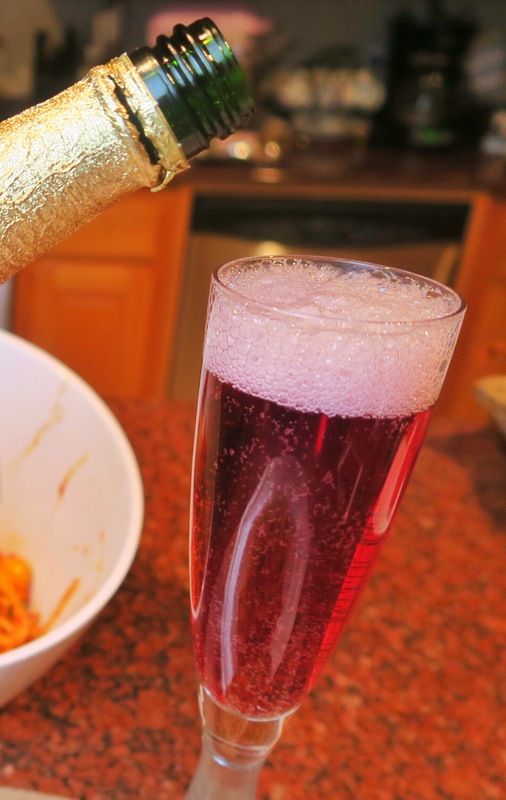 This post is sponsored by Welch’s Non-Alcoholic Sparkling; The love, excitement and opinions come from the heart and genuine passion for food and drinks experienced by this colorful author! Thank you for your support! 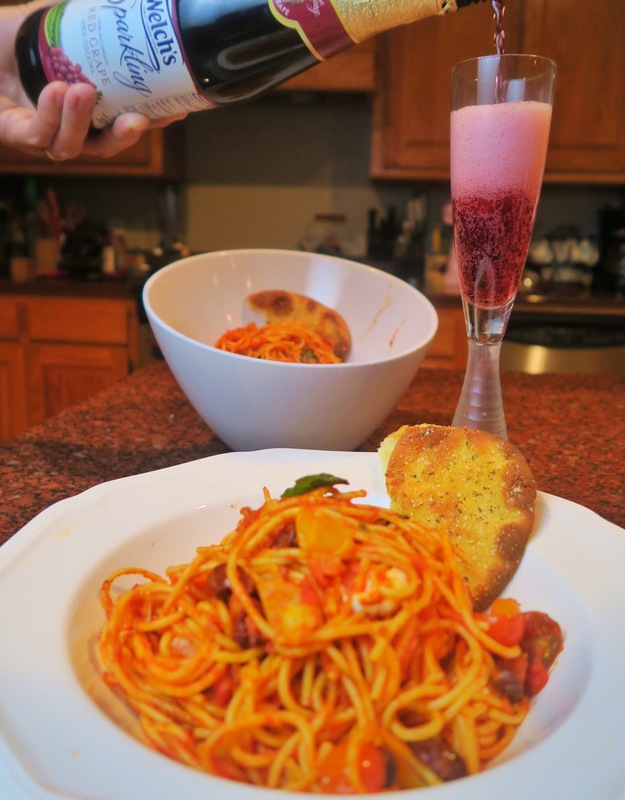 This entry was posted in Appetizers, Colorful Directions, Colorful Foodie Picks, Dine with me and tagged mocktails, non-alcoholic drinks, welch's non-alcoholic grape sparkling.